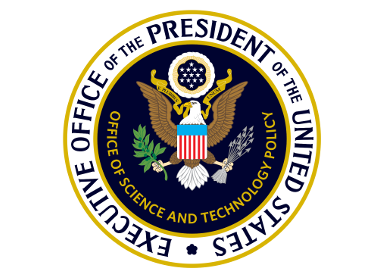 Established by Congress in 1983, the Presidential Awards for Excellence in Mathematics and Science Teaching (PAEMST) have been recognizing excellent educators for 35 years. "I felt honored, appreciated, and respected [during the Recognition Events]. It felt surreal." "To be a recipient of the Presidential Award for Excellence in Mathematics and Science Teaching is an incredible testament to the amazing educators that played a role in developing my love for learning." "To be a recipient of the Presidential Award is an awe-inspiring and humbling experience." "I have met many inspiring and wonderful colleagues from around the country [because of PAEMST]." "The award has created a bond between the four of us that will last forever." Since receiving the PAEMST award, K. Renae Pullen has taught undergraduate students elementary science methods for Louisiana State University, served on local, state, and national committees, and presented at numerous workshops and conferences. She was awarded a fellowship from the Fund for Teachers to study creativity and STEM in Spain, and was a consulting expert on the National Academies Press (NAP) book on science assessments, "Seeing Students Learn Science: Integrating Assessment and Instruction in the Classroom." K. Renae currently serves as a member of the Board for Science Education National Academies of Sciences and a NSTA/NCTM STEM Ambassador. Catherine and Ben Walker met in grad school and not only went on to get married, but also to both be named PAEMST awardees. "The Presidential Award celebrates the dedication and exceptional abilities of teachers who inspire students and narrow the national innovation gap. It illuminates what is good about teaching and challenges us all to continue the pursuit of excellence in the classroom. It is truly an honor to have received this prestigious award." "I take every opportunity I can to talk about female scientists. It is so important for girls to see women who have been successful in the field, to show them that they too can be scientists. I try to connect my students with local women, to show them what successful women in science look like on a local level." Erin Flynn (HI, 2013) taking a closer look at a specimen with her students. "My mission as an educator is to teach students that in fact one person CAN make a difference. To this end, I actively use the environment and community around and beyond the school as a context for student learning and empowerment." "I am humbled to be honored for work that I love. The witness and encouragement of my family and colleagues inspire me to continually improve. The energy, perseverance, and faith of my students provide an enjoyable and dynamic learning environment. What a blessing it is to have a profession that is more than a job, but also a vocation!" "As a teacher, we are in a boat, but we do not necessarily have the sail. Others (administrators, government officials, etc) seem to have the power of navigation. This award gives us a sail- a way to advocate for change in our area." "This recognition serves as a progress report that validates the work I have done in the classroom and motivates me to continue improving my craft as a teacher." "Share… share … share…. I share all my activities with teachers who have similar classes and collaborate on how to improve... I share favorite lessons at [state teaching conferences] and challenge teachers to engage and wrestle with their understanding of concepts [which] improves our teaching." "For a science lesson to succeed, the students need to be truly engaged and see the relevance of the lesson – to feel the need to understand why. [They] have been scientists ever since they asked the first 'why?' questions when they were little – the key is reminding them to keep asking." "With both children and adults, teaching and learning is akin to a fluid dance between willing and trusting participants. Each experience helps me and my fellow learners grow and develop our collection of next-step strategies"
"Receiving the PAEMST has opened many doors for me, and I think assisted in my winning many other awards afterwards." "Receiving PAEMST validated all the work I've done. I've realized that it is important and significant. That my school, district, state and now the nation recognizes my work has been exciting and gratifying." "I'm the students' guide on the side while they explore, create, and take ownership of their educational journey. [They] learn through ongoing problem-based learning. I want to have the classroom where students run to everyday and never want to leave." "It is an extremely meaningful and necessary award. Having a chance to collaborate with the top science educators in other states as well as those during the [recognition event] was worth more than the award or money. Having a voice in the national conversation has changed my teaching incredibly." "As a PAEMST [awardee], I...confidently face any challenges. I must continue to influence U.S. science education as best I can. Lastly, I must remain humble. There are many great science teachers. I am honored to be considered a member of such a group." Pictures will be updated and changed regularly, so be sure to check back often! If you have pictures to share, please send them to info@paemst.org. See more pictures, awardee features, and videos on PAEMST's media page.